I could have retired last year but decided to stay until things were worked out with my only grandchild. Unfortunately her parents are struggling with drug addiction so I have been raising her on and off for the past 8 years. I've had her as a foster child 3X and more often informally because her parents were either homeless or unable to care for her. You would think the court would automatically give me guardianship but instead they have fought me every step of the way because I'm elderly and disabled. I assumed child welfare no longer was able to use those factors as a reason not to assign custody... but I was wrong. I have a sympathetic judge but child welfare has played games by not setting court hearings and not letting me be party to the case. I don't have the money to get a lawyer. But I'm seeing one tomorrow to see if she will file in court for me to be deemed an EMOTIONAL PARENT, or whatever it's called. I have been more of a mother to this little girl than either of her parents. The only bedroom she's ever had has been in my home. I have her 2 cats, hamster and guinea pig. Her room is full of toys and a cute junior loft bed. Child welfare is dead set on adopting my granddaughter out. I am frightened and devastated. They have even placed her in another foster home this time. I feel like I have no rights. And when I visit her they supervise me and take notes from behind two-way mirrors. The whole thing is humiliating and unethical. I am now sorry I never initiated the paperwork to assume custody when she was a baby. Because I didn't child welfare says that shows a lack of care for her. Yet it was them that continued to try and unify her with her parents, putting her squarely in line for more abuse and neglect. They recently moved her from one foster home to another after I reported she was being sexually molested at the first one. They tried to cover it up and pretend it didn't happen until another little girl was molested there. They actually had the nerve to blame ME saying I didn't report it fast enough!! I have phone records showing numerous phone calls to them trying to report it. Yes, they are playing games. I try to console myself by thinking of all the freedom I will now have in retirement. All the extra money and time. No more babysitting and having to do things that are hard for me to do because of my mobility problems. I chart out trips I will take in my RV, lakes I will fish in and all the retirees I will make friends with on my journey. But then I see her little face looking up at me and begging me to take her home. She always asks me if I'm fighting hard for her. How much longer. And I can't bear it. But then I wonder if she might be happier with a real family. A family that is active and on the go all the time. A mom who dies her hair and buys her pretty clothes. A sister who becomes her BFF. I don't know what is right. I'm so torn. I would have had the money for an attorney if I hadn't spent all my money rescuing her parents, paying for daycare and raising my granddaughter. Everything I've ever bought for her has been hocked, ruined or traded because of drugs. I got smart the past year and stopped sending anything of value with her whenever she left my home. But as a result I have a closet-full of new clothes that no longer fit her and toys she is now too old to play with. I plan to donate what I currently have and maybe start over with her room. I bought her the princess bed she picked out online before they took her away. I also bought matching bedspread and curtains with fairies on them as well as wall decals with fairies. But again, I'm torn. Do I keep moving in this direction or just start getting an RV ready to roll out of here? I am in a holding pattern this past year. I dare not fix up her room and buy the trampoline she wants if I'm just going to sell my home anyway. I don't see many grandparents on this forum who are in my shoes. I have felt very alone because when I have my granddaughter we don't seem to fit in the young parent group nor do we fit with the over 55 crowd. In fact I can't move to an over 55 place with my granddaughter. They have rules against bringing children. I looked online to find a community that caters to the unique needs of grandparents raising grandchildren with no luck. I'm not sure what I'm asking from this group or what I'm trying to say. 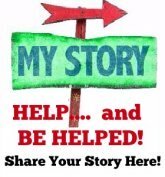 Maybe I'm looking for advice, help, support- and I'm also reminding those here who feel they lost their purpose when they retired that grandparents who are raising grandchildren would probably love to have you join them on outings, provide a few hours of respite, help with transportation, or teach a new craft or skill to the child. Everyone has a song to teach. Reach out to kinship families and be a friend. All adoptions are not bad adoptions when a child is removed from a family. Has the child welfare authorities terminated the parents' rights? Why are you being supervised during visits with the child? When/if a family is found and approved for adoption, try to show them that you are concerned and love your grandchild but explain your limitations for caring for her full time. Keep an open relationship and follow though on visits if allowed. Don't force yourself on them but send cards, write letters, make phone calls with their permission. Don't cause stress to people who, by helping your grandchild become part of another loving and caring family, are also helping you. I was in tears when reading your story, I, too, am a grandmother but my situation is different to yours. The Secret by Rhonda Byrne and believe that your circumstances will change for the better. Apparently she is 8 years old. You can do both-retire, sale your home, travel in a RV w/ her and home school her. Go to You Tube on the internet and search for RV Camping. There is thousands of people RVing and car camping, lots in vans who have reconstructed them.. I was 60 years old ,had raised 3 birth kids, had 2 grandkids and was able to adopt my infant son when he was 6 days old...I have never regretted it. I will be 79 in October and he will be 19 in December...Sure there are things I do not feel like doing but I am able to take him where ever he wants to go-so far. There are many home school sites on the internet. They can go to school on line. RVing will be real education for your granddaughter. Keep her, you will never be sorry. I do not know where to begin with commenting on your post, other than to say your situation would be overwhelming to me and many others. God bless you for stepping up and trying to make a better life for your grandchild, and shame on the parents for creating such a monumental problem for their child as well as for you as you age. No one needs these problems as they age and should be planning a life of leisure. I wish you well and strength in handling such a troubled time in your life. Perhaps some type of help from a professional, or a church group, or, a support group would be of help. In my opinion, you need to do all that you can in order to "save a little life", God only knows how this has and will impact this child, probably for life! You have lived your life, perhaps with a struggle, but, the little one does not have your tools to deal with this nightmare.....best of luck on your journey! I thought Social Services could come to your home and check you out and your home to determine if you were competent and your home is suitable and clean for your granddaughter???? They would have to legally determine if you are in fact the grandmother?? I would get an attorney. I live in NC and there are Grandparents Rights in this state!!!! Your granddaughter needs you because you LOVE and CARE for her!!! What is more important than that?????? Your story reminds me of my own mother's plight 35 years ago. My oldest brother 30 years old committed suicide. He had 2 girls age 4 and the other 2. He was in divorce proceedings when this occured. We had been close to the girls up until this time. Their mother took them out of state immediately and refused visitation from us. I was 20 something and in college. We were heart broken we lost my brother, and his entire family in one swoop. My mom didn't give up. She too went to a lawyer. After about a year she won Grandparents rights in Missouri. However, his wife was remarried and pregnant she claimed hardship and my mom never saw the girls again. I kept trying but, as the years moved on I quit looking for them. Then, I got a call from my youngest niece she was 32 and wanted to reunite. My mom had passed away 2 years prior after a stroke. I reunited with both girls they each had daughters. I talk to them all the time. I was able to show them the newspaper article about my mom and how she won grandparents rights. I am so happy to have a relationship with them but, I think of my Mom often and have used a few tears. Somehow, I know she arranged our Reunion after she passed. Hey circling - is there a women's/children's support system in your town? They might be able to help. Or an attorney that will help you for free? I am sorry the child welfare office has so many regulations and so many caseloads. I can relate to you in some ways. I am grandmother to three young boys and yet I am put into the position of acting like their mother. My daughter loves the boys but only wants to drink and party most of the time, especially on week-ends. She is a single mom with no income, and does not do anything much in regards cleaning, washing dishes or clothes etc. My son has been supporting her for last two years, letting her and the boys stay with him in my ex-husband's house, but wants her out as she does nothing to help. I go there and do all the work and always take the boys to my apt. on week-ends. My dilemma is that I want to stop doing all this and let her face the consequences (and maybe grow up and be a more responsible person) but I do't want the boys to be taken away from her and be forced into foster care. So I continue doing it, and not getting much of a break to have my own life. Hope you can get some help. Children generally survive their upbringing, so all we can do is be a positive influence as much as possible.